Take a moment and think about your view of sports. Many of us give little though to the impact of sports in our lives. Most of us have been involved with sports in some way, either in gym class or in a team sport or as an adult professionally as a job. The Independence through Sports workshop is an opportunity to see sports from a different perspective. 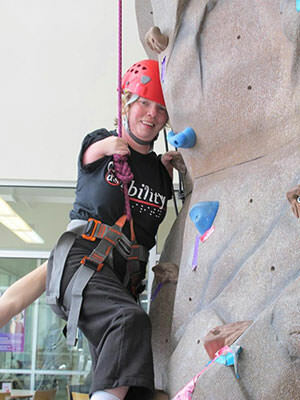 For those with a disability, community sports can be access to independence. Sports have the ability to build up the mind, body and spirit when truly integrated into a person's life. As a person with a disability, I have seen this happen in my life. More than a decade ago, I enrolled myself in a martial arts class as a means to keep active while in graduate school. Doctors had advised me as a child that staying active was necessary to develop my independence. My family and I have took this advice very seriously as independence has always been essential. 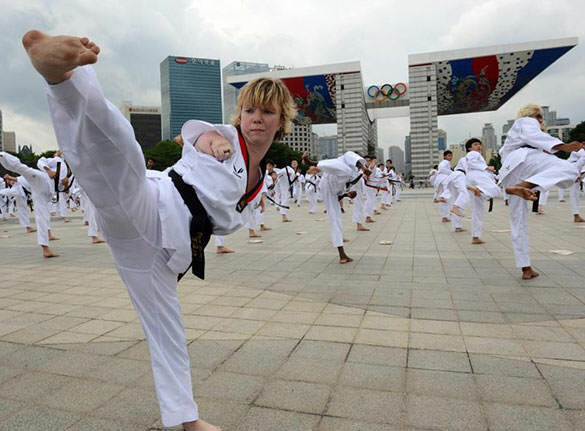 In June 2010, I received my black belt in tae kwon do—this achievement opened my eyes to the benefits of sports for people with disabilities. A whole new world was available to me. 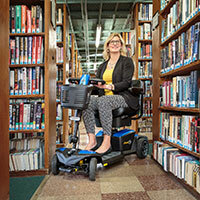 Many people with disabilities endure countless hours of physical and occupational therapy in their lives. As a child, I experienced this twice a week for a few hours at school, but what I did not realize was that it continued at home. My main mode of transportation was a mini wheel. I spent hours riding with friends and all the while my legs were building up muscles and my hamstrings were being stretched. Each day my legs were getting stronger and before I knew it I could walk without the constant need of my leg braces. This achievement built up my confidence to allow me to go forward and do more amazing and challenging sports activities. Today, I look back on how sports have enriched my life. I was never supposed to walk or live independently and yet I do. My parents enrolled me in many activities: roller-skating, ice skating, soccer, tap dancing, gymnastics, horseback riding and martial arts. My traditional physical and occupational therapy stopped at 12 when I left the public schools and enrolled in private school. However, because of all the activities I was enrolled in, my therapy continued through sports. My legs strengthened with roller-skating and I was able to be included in this group activity with all my friends. I was the only person able to get up from the ground wearing roller skates without using arms. That was a confidence booster for me. 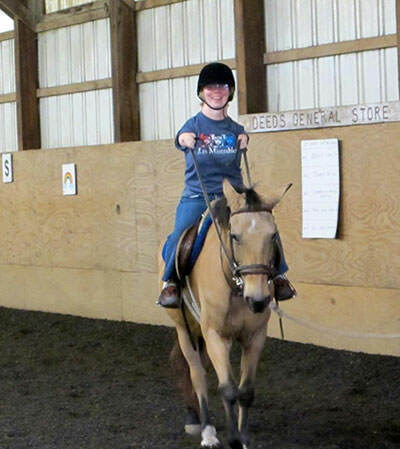 When horseback riding, I accomplished correct half seat position only after hours of practice, which finally gave me strength in my core. I never had the option to put my hand down and hold myself in place. Each of these successes gave me drive to continue forward. They fostered trust and confidence in myself that I could do anything. These activities also showed me that I could have physical and occupational therapy without a traditional session. As individuals, parents and professionals, we need to realize that there are alternative methods to achieving success. It was suggested to me recently that I should really be doing my physical therapy exercises at home. I told them "I do tae kwon do three times a week, sometimes more." Though they tried to convince me, we were at an impass. I already did that as a child and was happy to be free of that requirement. When you are involved with sports you can reach achievements without even realizing because you are having fun. I can now stand on one leg and do six kicks before putting my foot to the ground. That is a huge achievement for me, as child, I was barely able to stand on one leg with the help of others without falling. Take the challenge, break from traditional methods and try something new. Pay attention to how your body is responding; notice your successes and how they make you feel. Sports give you the opportunity to strengthen your mind, body and spirit while having fun! Get out and be active today! For more information about my life adventures, visit my website, www.sheilaradziewicz.com.